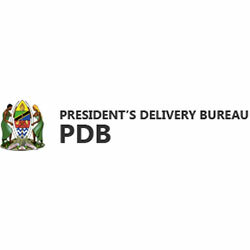 On November 12th 2014 the President Delivery Bureau of Tanzania (PDB) held a conference in Dar Es Salaam to showcase the latest available investment opportunities in Tanzania. Among others, the event saw the presence of Tanzania Minister of Transport Dr. Harrison Mwakyembe and Tanzania deputy Minister of Finance Mr. Adam Malima and Tanzania Investment Centre (TIC) Executive Director Mrs Juliet Kairuki. A number of projects representing tangible investment opportunities were highlighted in the transport, agriculture and real estate sectors in Tanzania. -Development of a dry port on the outskirts Dar Es Salaam. Estimated project value: USD 120 million. -Lake Ports: Modernization of the Mwanza port and expansion and modernization of the Kigoma port. Estimated project value: USD 400 Million. -Construction of a 200 km railway line between Uvinza and Musongati on green field. Estimated project value: USD 600 million. -Procurement of 39 high horse power locomotives. Funding requirement: USD 128.31 million. -Procurement of 1,756 wagons. Funding requirement: USD 128.533 million. -Construction of Dar Es Salaam to Chalize 100 km express way. Estimated project value: USD 519 million. -Construction of Arusha-Moshi-Himo junction 105 km dual carriageway: Estimated project value: USD 400 million. -Upgrade of Kidahwe (KigoMa)-Ilunde-Malagarasi-Kaliua 188km road. Estimated project value: USD 150 million. -Upgrade to bitumen standard for the Manyioni-Itigi-Tabora road. Estimated project value: USD 57 million. -Development of 25 commercial farming projects, for sugarcane and paddy. Estimated project value: USD 70 million per farm. -Rehabilitation of existing integrated grain storages, and construction of new ones. Estimated project value: USD 300. Finally, in relation to real estate, Mr. Nehemiah Kyando Mchecu, Director General of the Tanzania National Housing Corporation (NHC), highlighted the current huge housing deficit facing Tanzania of 200,000 units per year and 3 million units overall. A number of ambitious and modern real estate projects throughout Tanzania were also presented to the public. The organizer of the event was the President Delivery Bureau (PDB) of Tanzania, a department under the President’s Office mandated to facilitate the Government in undertaking performance management and delivering results in line with the Big Results Now (BRN) initiative. PDB was represented by Mr. Lawrence Mafuru, Director of Resources Mobilisation & Economic Sector.